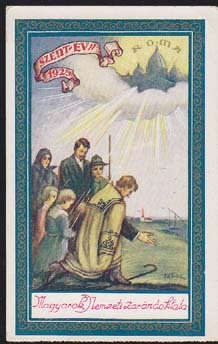 11144 PPC HUNGARY (1925) Scout, people praying*. Rome in Heavens*. Lovely color postcard. Some kind of pilgrimage.